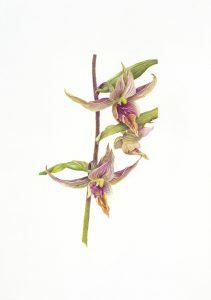 Botanical Art classes have been going on at the Arboretum for twenty years. The courses were started and taught for many years by renowned botanical artist Olga Eysymontt, who was instrumental in the founding of the Botanical Artists Guild of Southern California. For the last six years the instructor is Cristina Baltayian, who herself is a former student of Olga. The classes are held at the Arboretum every Tuesday, and follows the traditional botanical art techniques of observing, sketching and portraying plants in a realistic manner. 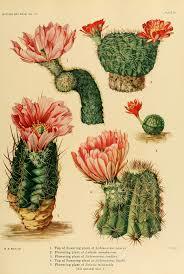 Botanical illustration began hundreds of years ago as a scientific tool for identifying and studying plants. In the 19th century, it began to be recognized as an art form in itself, and artists have drawn and painted the plant world in all its exquisite forms ever since. In this exhibit we are showcasing some of the wonderful art that students of the class have been working on in the past 2 years. Each has its own style, expression and personality, and that’s one of the many things that are so satisfying about working with Nature in its infinite variety. The history of botany (phytology) is the history of books twofold: Not only have books been the unparalleled and enduring medium for botanical study across the centuries, but plants have also served as the has the physical basis of books. 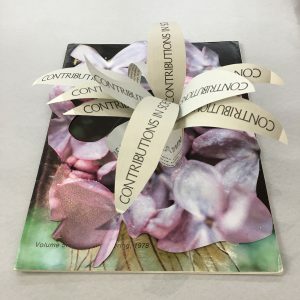 Any book about plants is therefore also a book of plants in its most basic sense; between the unfurling leaves of a plant and unfolding leaves of a book, drawn are a myriad of connections to be revealed. Found Among the Leaves; a Bibliophytology is an exploration of the rich and complex relationships that entangle object with information, image with medium. 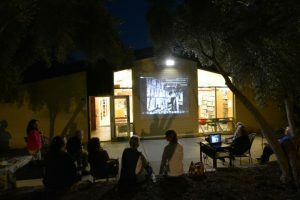 The LA County Arboretum’s library serves as both the project’s exhibition venue and its source material. 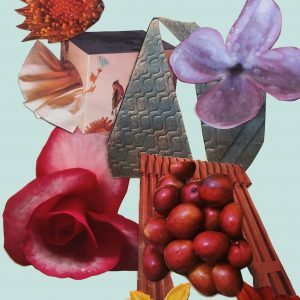 Through works of collage, assemblage, painting, and objects from the Arboretum’s own collections, the exhibition will unfold as an aesthetic manifestation of the library itself: Trees made of books, flowers from scientific journals, bark as paper…. As the natural and cultural histories of plants and people as ecological companions continue to branch, how might they grow? At a time when the intimacy of printed matter is giving way to the ubiquity of digitalization, what do we make of the relationship between the book and the plant? Let’s look among the leaves. Andrew Yang is a Chicago-based transdisciplinary artist who works with flux of the naturalcultural. His projects have been exhibited from Oklahoma to Yokohama, including the14th Istanbul Biennial, the MCA Chicago, and the Spencer Museum of Art. His writings appear in Leonardo, Art Journal, Gastronomica, and Biological Theory, among others. With a PhD in biology and MFA in visual art, he is an associate professor at the School of the Art Institute of Chicago and research associate at the Field Museum of Natural History. The study for botany in the European tradition is deeply rooted in analogy as a method of understanding. From the “Doctrine of Signatures” of ancient Greece onward to Carl Linneaus’ penchant for mapping plant morphology onto animal anatomy, analogy continues to be a powerful and precocious technique for uncovering the meanings manifest in plant form. Books and have been central to this endeavor—as the means by which morphological knowledge was recorded and communicated, and indeed as an integral part the botanical world in itself. This talk will explore these themes in connection with the exhibition Found Among the Leaves; a Bibliophytology. 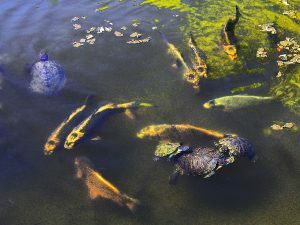 Early May is one of the most beautiful times at the Arboretum and an evening of music, salsa tasting, margaritas, historic slide viewing, garden wandering (yes you can! ), a book sale and all the additional things (a raffle for early ticket purchases?, plant auction?, fireside ‘smores?, and/or salsa lessons? ), we dream up to entice you to help us fund the Library collections and its programs. The party’s cost is modest Advanced Tickets: General Public $25, *Members $20. At the Door: General Public $30, *Members $25. Of course, we’ll be sure to have the donation box ready and waiting for additional contributions. 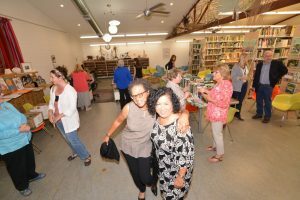 *Members: We are looking to create community with members of all our local botanic gardens, plant societies, local history societies, plant-related professional organization, and library associations. You may choose the Member price if you tell us where you are a member. Come celebrate and support the Arboretum Library with us in May! We can’t do it without you! Check the Biodiversity Heritage Library for the latest Arboretum journals and newsletters that have been digitized thanks to a grant from the Good Family Foundation.